The wondrous and mystical geography of northwestern Argentina is the setting for this adventurous tale of encounters with the deep spiritual realms of the earth. And in the wilderness of the Quebrada de las Conchas even the old spirits of the primordial earth want to talk about the future! They have messages for us about humanity’s unfulfilled destiny on the earth! 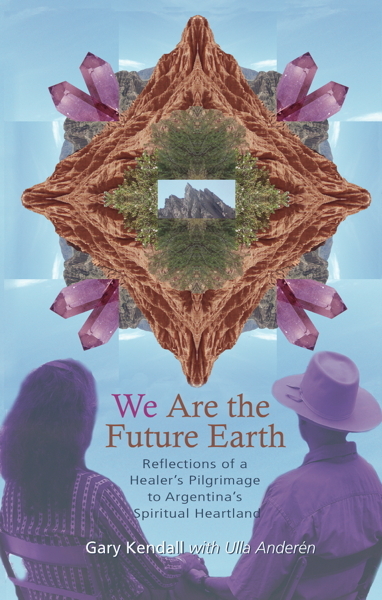 Gary and his wife Ulla are both highly trained healers who are drawn repeatedly to this unspoiled region of the world, to walk the land, and to receive teachings of how we each have a part in creating the future earth now. Old idols are swept away as a deeper and surprising understanding opens of what it means to step into a fully awakened relationship with the earth and to join with the consciousness of all its beings. Interwoven within this story are the personal experiences of the author as an energetic healer, his years in training and his active practice. The role of personal healing is intertwined with humanity’s path of evolution, how we all liberate our true selves to be the creators of the next world.